Premier Forest Sawmilling comprises of three Sawmills located Lostwithiel, Crumlin and Doncaster, each with its own rich history and reputation, built over time. It takes at least 30 years before a sustainably grown pine or spruce tree is perfect for felling. It takes just 2 minutes to transform that carefully selected log from its natural state into a high quality product ready for treatment or further processing. But most importantly of all, it takes 50 years of passion, investment and expertise to establish an unrivalled reputation for excellence of quality and service – which is exactly what Premier Forest Sawmilling gives to its customers. Premier Forest Sawmilling has maintained a passion for uncompromising quality and is now recognised for providing some of the very best fencing and landscaping materials available anywhere in the country. That’s not our claim; that plaudit has come from our customers themselves. And whilst it’s nice to have our customers speaking for us, we think our products speak for themselves. With accurate, consistent cutting from high-grade logs up to 16ft in length, and kilning, brown/green pressure treatment tanks, and skilled additional processing facilities all on site, Premier Forest Sawmilling’s range and flexibility is comprehensive. Nothing goes to waste on our watch. Not only does our efficient optimising give us the best possible yield from the logs, but the waste is all utilised too, either for heating our drying kilns or for supply into the biomass industry. It’s all part of our commitment to use our forest resources as effectively as possible. 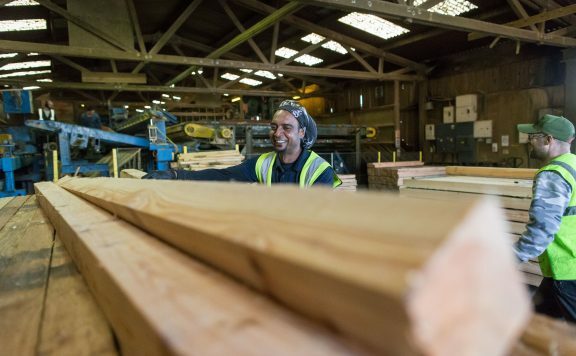 As well as being generally sourced from local responsibly and sustainably managed woodland, our timber is milled, Kiln-dried, pressure treated, machined and manufactured on site. That keeps our log miles to a minimum. Our computer-controlled timber drying kilns are also fired using waste from our mill. We use the latest computer-controlled technology at every stage to deliver the highest quality product. Each log is scanned and the most efficient sawing patterns are calculated. Our new kilns are extremely efficient and are fired using waste product from the saw mill. Our computer-controlled treatment plant calculates the precise amount of treatment, time and pressure required to ensure that the treated timber we produce is optimally treated. Our products are checked at every stage of manufacture. 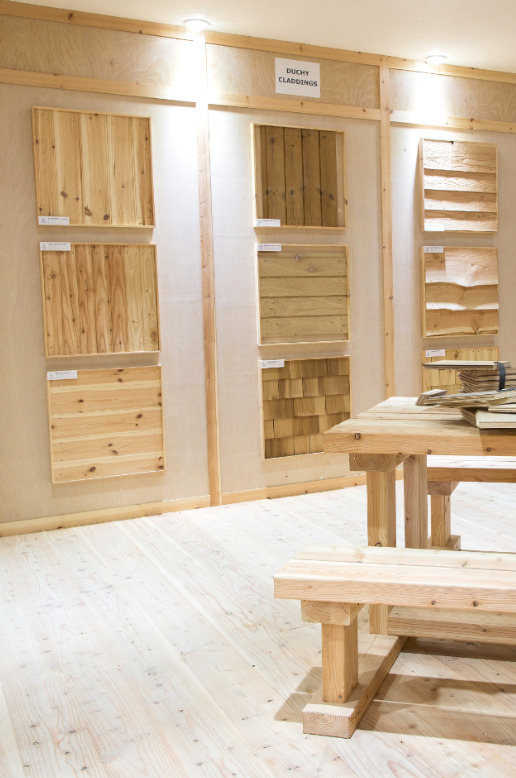 Our state-of-the-art mill ensures the best timber is selected for each application. Each piece is checked before stacking, each piece is kiln dried to ensure maximum absorption of treatment and each piece is checked before use. This process allows us to treat to USE CLASS 4, giving an extended service life.